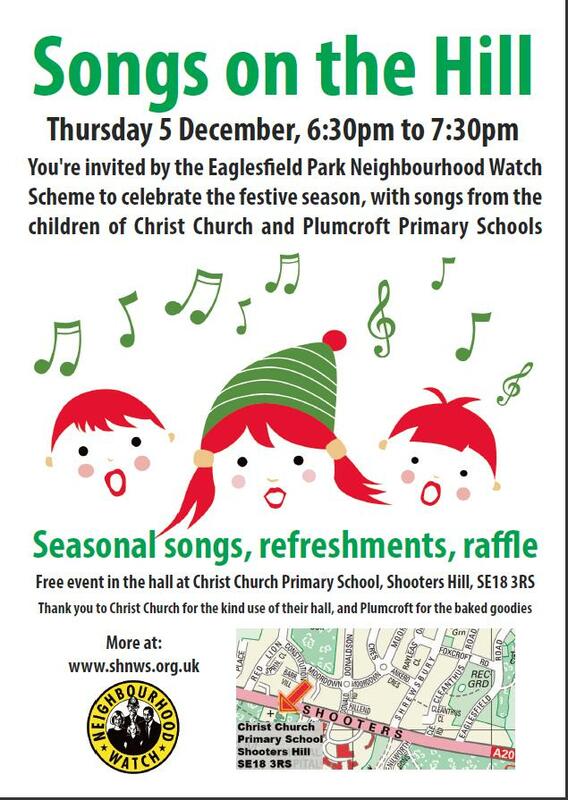 Next weekend in Shooters Hill is going to be busy, with both the Friends of Shrewsbury Park and the Eaglesfield Park Neighbourhood Watch Scheme holding their summer fêtes, as well as the opening of Severndroog Castle and a London Bubble play, Ishbel and I, at Castle Woods. We invite you to capture images of the Park over the next few months. They can be dramatic, seasonal, humorous, exciting, tranquil, close ups or panoramic– with or without people and wildlife, colour or black and white. The twelve most interesting photos will be chosen to be included in our 2015 calendar. 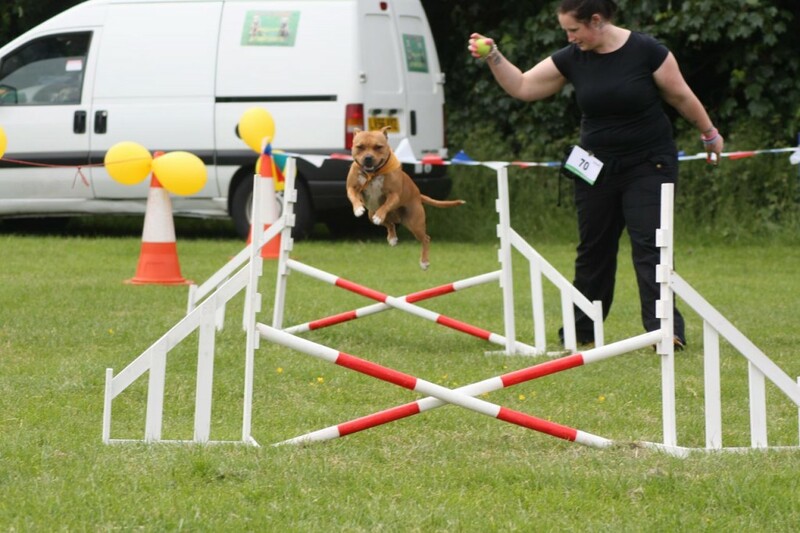 Please send your photos to fspdog@hotmail.com with ‘photo comp’ as the subject. It would be very helpful if you also produce a suitable print if possible. Please include your name and a caption, and how best to be in touch with you. 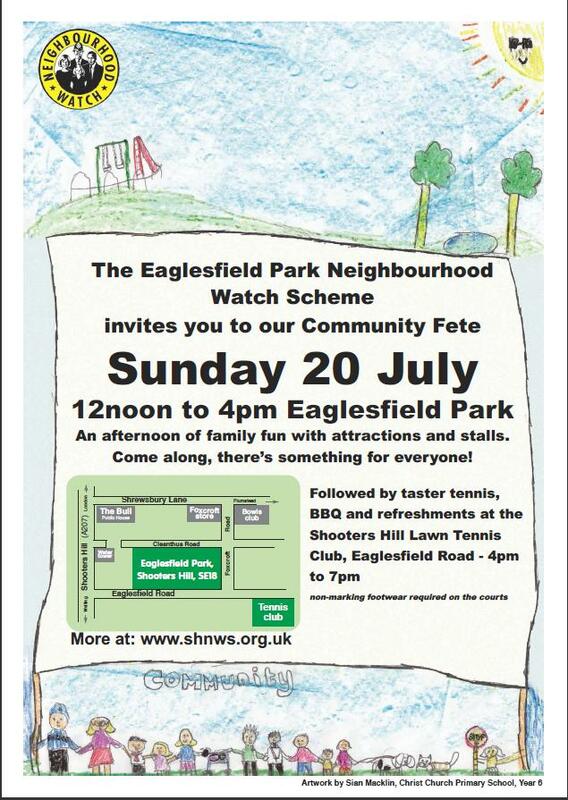 The Eaglesfield Park Neighbourhood Watch Scheme (EPNWS) invites you and your family to an afternoon of fun on Sunday 20 July from 12noon to 4pm in Eaglesfield Park. Take part in the activities, wander around the stands and stalls and meet the people that help make our community great. This is the seventh year that the fete has been held to help promote the benefits of Neighbourhood Watch and foster community spirit. 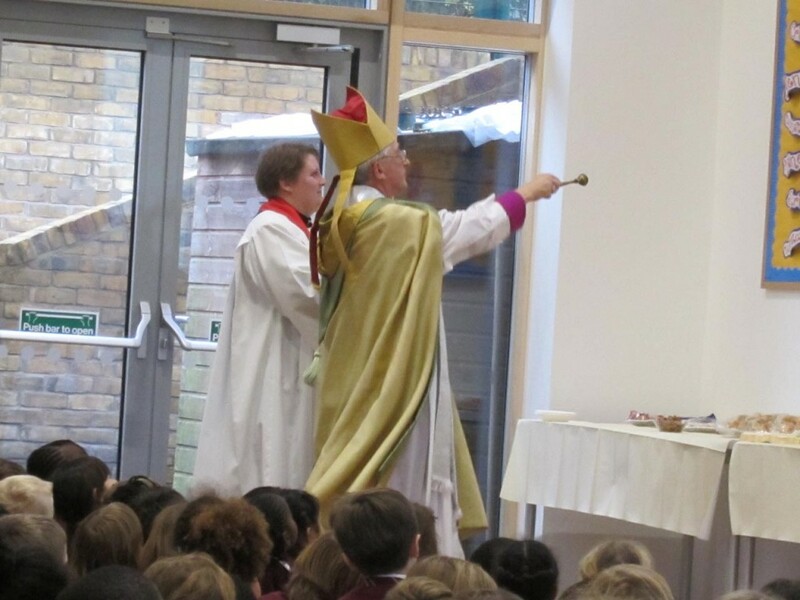 The fete will be opened by special guests, including the winner of the poster competition from Christ Church Primary School. Some of the activities include a hula hoop demonstration, mini tennis, children’s story telling, face painting and a Punch and Judy show. The Shooters Hill Safer Neighbourhoods Police Team is pulling out all the stops for some fun and exciting activities, with the Greenwich Met Police teams on hand and music from the Police Cadets Drum Corp. You can buy home-made cakes and refreshments, and take part in our raffle to win a pair of tickets to see Disney on Ice in The Royal Borough of Greenwich hospitality box at the 02 on Christmas Eve. The day of fun finishes at the Shooters Hill Lawn Tennis Club which welcomes all the community to check out their new club facilities, with a BBQ and refreshments at the club house from 4pm to 7pm. 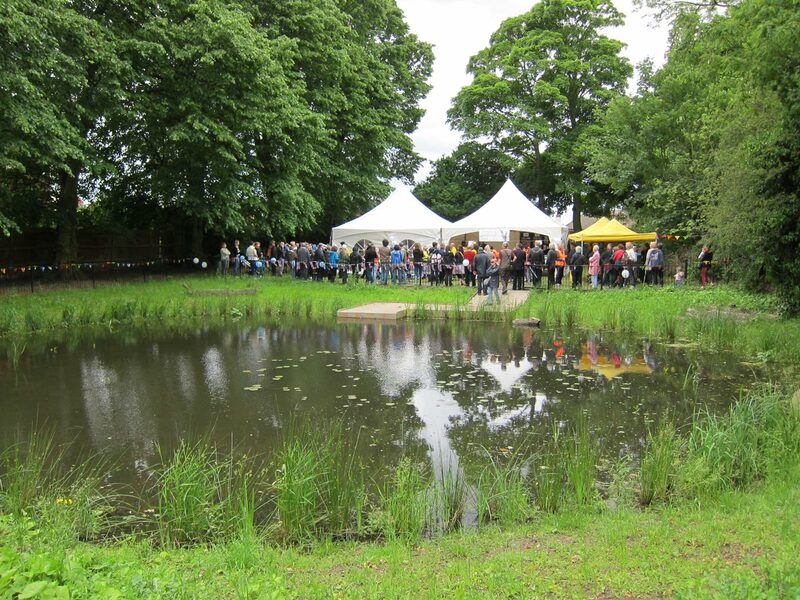 There will also be a chance to try some pond dipping in the Lilly Pond hosted by the Friends of Eaglesfield Park. Let’s hope the good weather continues through the weekend. 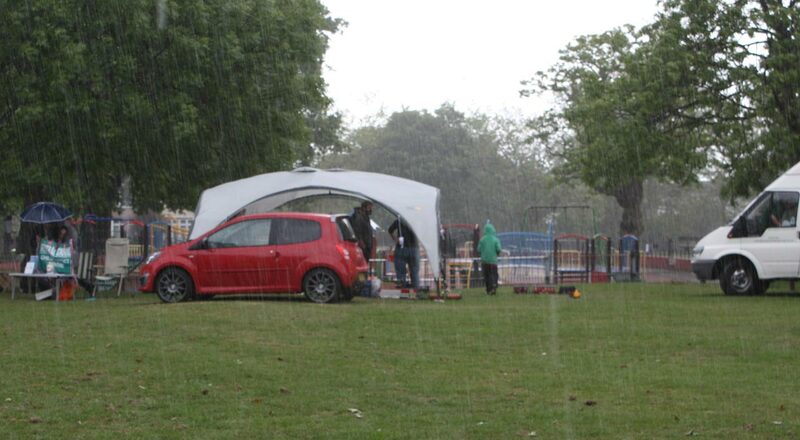 Last year the opening time for the EPNWS Community Fête was marked by torrential rain! 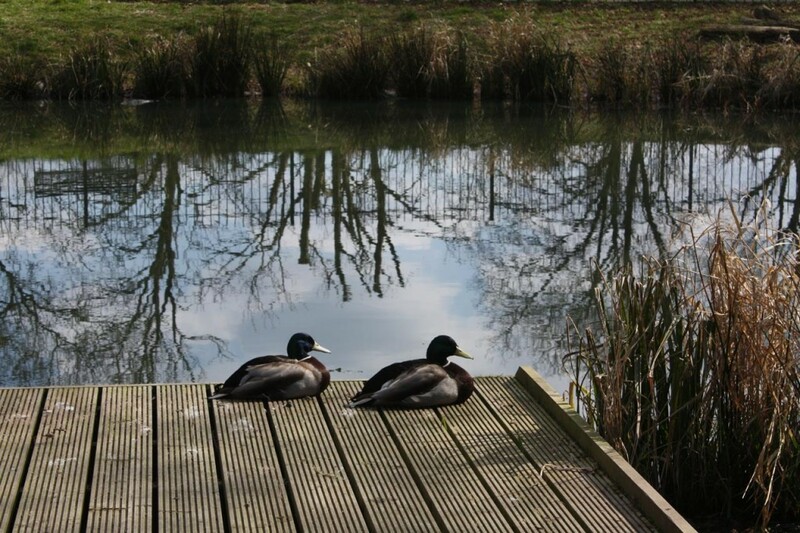 The Friends of Eaglesfield Park (FOEP) continue working to ensure the pond and meadow are an environmentally friendly haven for wildlife which will also provide a peaceful setting for contemplation and wildlife observation for the local community and visitors to the park. In less than 2 years since the official Opening of the Pond it is amazing how important the pond and meadow have become to our local wildlife and how much pleasure it provides the “human” visitor. This Spring we are seeing an increase in pond creatures – frogs, newts, insects, butterflies and birds and the POND DIPPING PLATFORM enables access for studying the pond life. We would like to see more children (and adults!) take advantage of the Pond Dipping facilities and are looking at ways in which this can be achieved. All this requires some kind of a regular maintenance programme. 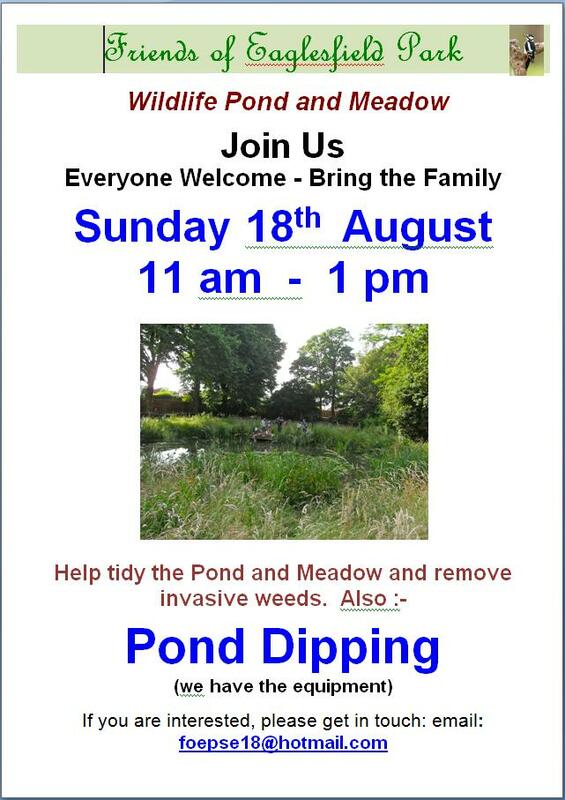 Last year the FOEP introduced a regular “Tidy Up/Pond Dipping Session” on the Last Sunday of the Month, 11 am – 1 pm and we would like to continue this, if possible. Sadly this year on 30th March and 27th April there were few troops on the ground! However the few of us accomplished quite a lot and made a difference. We cleared various areas and planted Yellow Rattle plug plants. These feed on grass roots and will hopefully reduce some of the grasses to enable more wild flower seeds to germinate. 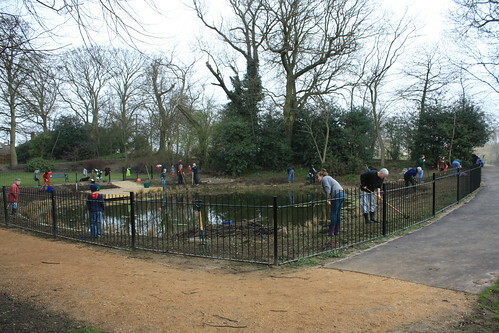 It would be great though to see a few more gardeners, or litter pickers, or pond dippers! We thoroughly enjoyed ourselves and hope more people will join us next time. In order for the pond and meadow to flourish we cannot leave it completely to Nature! 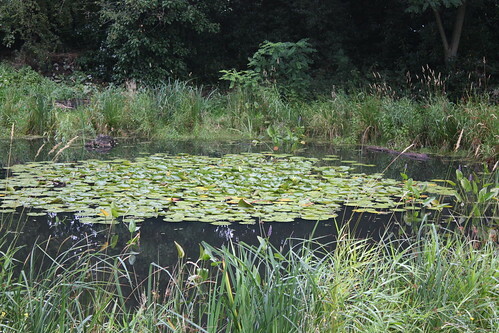 We do need to ensure the pond is regularly cleaned and its plants are thinned out and the meadow is properly maintained, including removal of invasive weeds, sowing seeds and planting wildflowers. And , of course, we shouldn’t forget the litter picking of assorted empty drink cans and bottles! The Friends plan to meet each month to work at the pond. The dates for the rest of the year are: 25th May, 29th June, 27th July, 31st August, 28th September and 26th October (assuming availability of Friends committee volunteers). I’ve added the dates to the events calendar over on the right. As well as their work on the pond, the Friends have recently relaunched their web site and have joined twitter as @FOEP1. Looking through my Flickr sequence of photographs showing how the pond has changed I’m impressed by how much the Friends have achieved in transforming the dried-up, overgrown historic Lilly Pond into what it is today. The pond goes back well over a hundred years. It is shown on the 1866 ordinance survey map in the corner of the pleasure gardens behind the original Bull Hotel, which stood in the area around where the water tower now stands. It’s great that it has been brought back to life. The problem the Friends are facing at the moment is that the soil around the pond is really too fertile for a wild flower meadow, and vigorous grasses are able to out-compete the wild flowers. One solution to this is to reduce the garden’s fertility by removing the top layers of soil, but the Friends have chosen to try to reduce the vigour of the grasses using the hemi-parasitic meadow plant Yellow Rattle (Rhinanthus minor). Yellow Rattle, or Cockscomb, is a partial parasite that gains some of its nutrients from the roots of neighbouring plants. Its roots lock on to the roots of surrounding grasses, taking their nutrients and restricting their growth, increasing the meadow’s biodiversity. 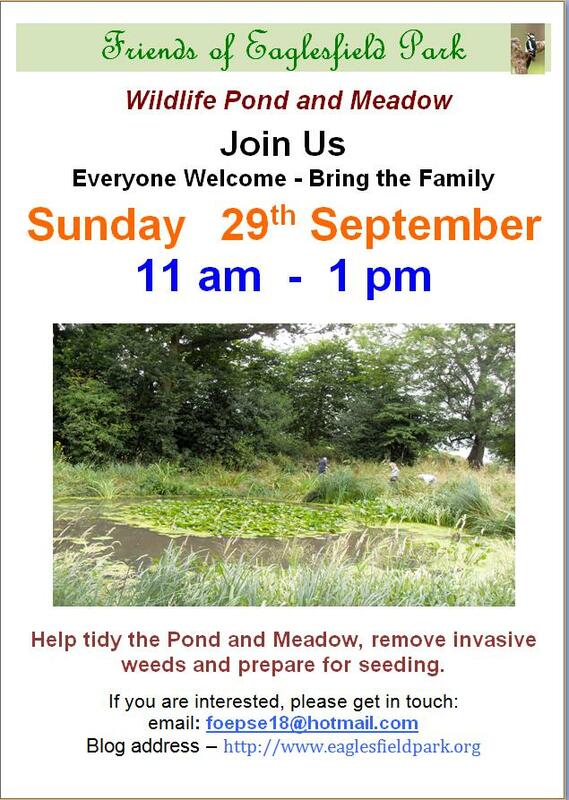 The Friends will be meeting at 11.00am on Sunday to tidy the area around the pond and continue the creation of the wild flower meadow. They’d love to see as many people as possible to help. We are sorry that our first news update for 2014 conveys details of a mindless, cruel and criminal act on wildlife in Eaglesfield Park. I am sure that by now many people will have heard about the very upsetting incident or seen the notices posted around the pond. The FOEP, like any decent people, are appalled that three adults (one with a child on his shoulders) were observed throwing bricks at the ducks and then “flying” their bird of prey to attack the ducks, which were either killed or carried off. However this criminal act was witnessed. I have obtained further information and would like to assure you that this matter is being taken very seriously. 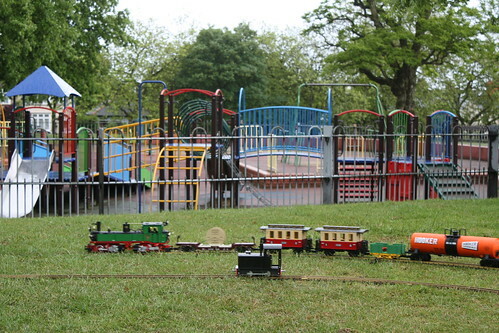 The Parks and Open Spaces Department of the Royal Borough of Greenwich and the Greenwich Met Police have been informed. The latter are acting on information received and investigating various leads. FOEP will of course pursue the matter and keep you informed. 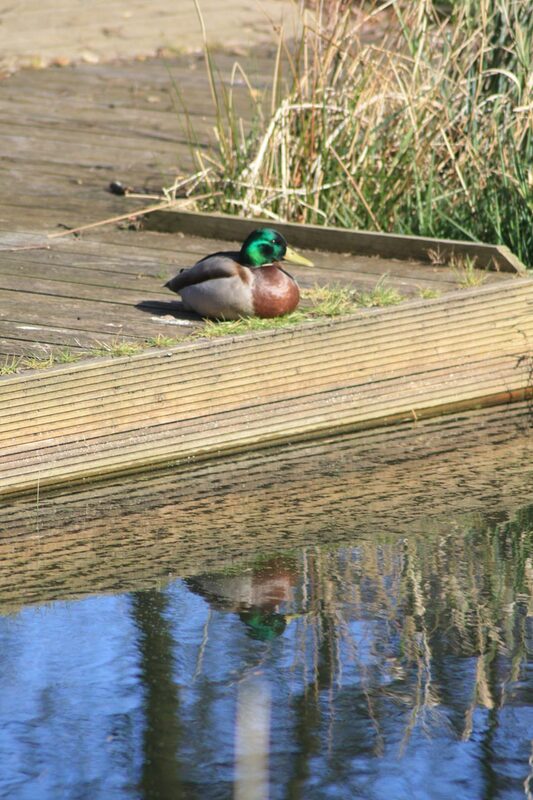 It has been suggested that a duck house/bird coop in the middle of the pond might provide an area of safety for ducks. We have already looked into this in the past. 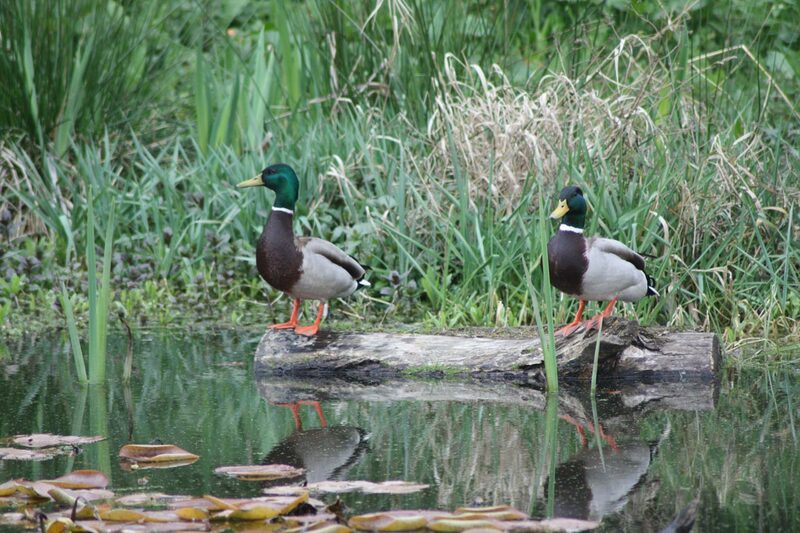 The advice we’ve so far had from wildlife agencies regarding a ‘duck island’ on the pond is that this can actually be detrimental to the other wildlife for a number of reasons including impact on water quality from duck faeces, bread left for ducks and ducks bringing in fish eggs on feet and feathers. However due to the most recent events we are looking into this again and will review with the Parks Dept. and others what the best course of action will be. We will let you know as soon as we’ve done that. In the meantime may we ask everyone visiting the park, local residents and clubs to help monitor wildlife security and to report any suspicious activity to the Police. Lastly I would very much like to thank the person who took the trouble to inform the authorities and for providing posters regarding the incident and their very generous offer of a reward of £100.00. Once again, I am sorry to begin with such upsetting news. We would all like to hope it is, and FOEP are now planning for the arrival of Spring! We will start our monthly weeding, planting, seeding and tidying up on the last Sunday of the month, beginning March 30th between 10.30 – 1.30 pm. We would be very grateful for any amount of time you could spare to help us. It’s not all work – we do enjoy ourselves as well! 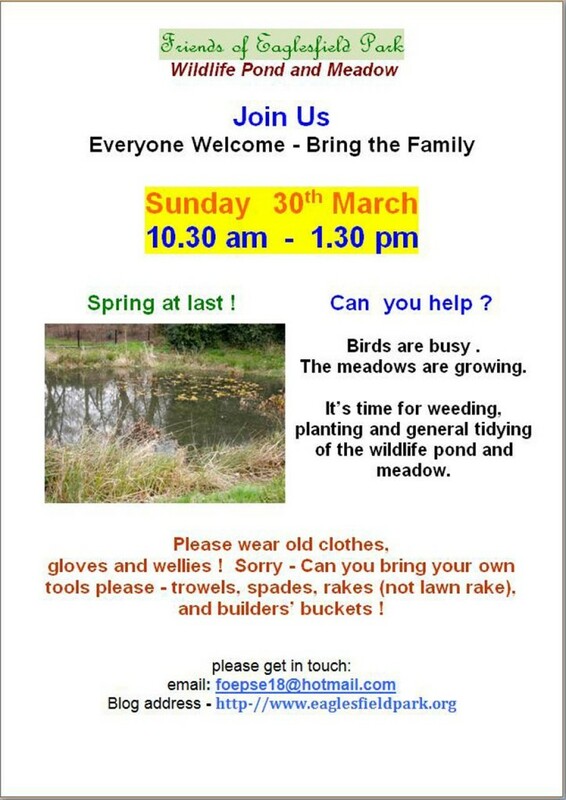 If you can join us, could please bring your own tools (spade, garden fork, hand digger, garden rake – sorry!) Please make sure have suitable gloves and wellies. In these wet winter days spring sometimes seems a long way off. 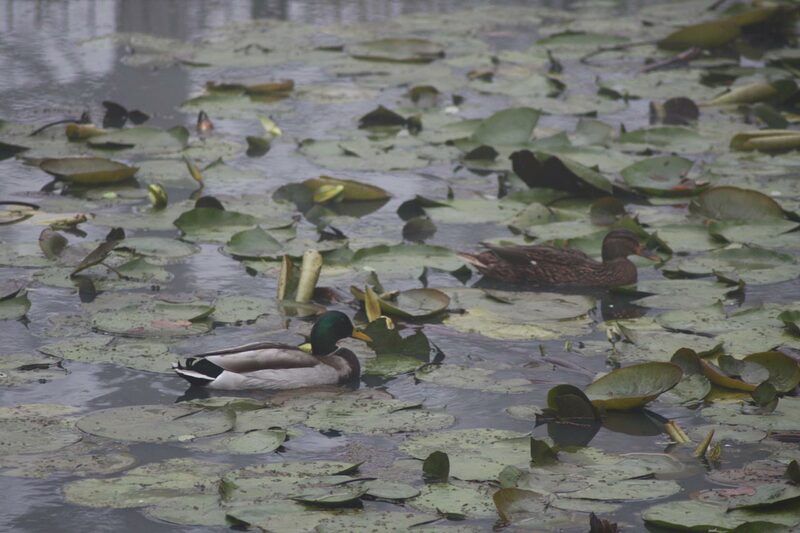 Hopefully it will assert itself soon, and bring some ducks back to Eaglesfield Lilly Pond. 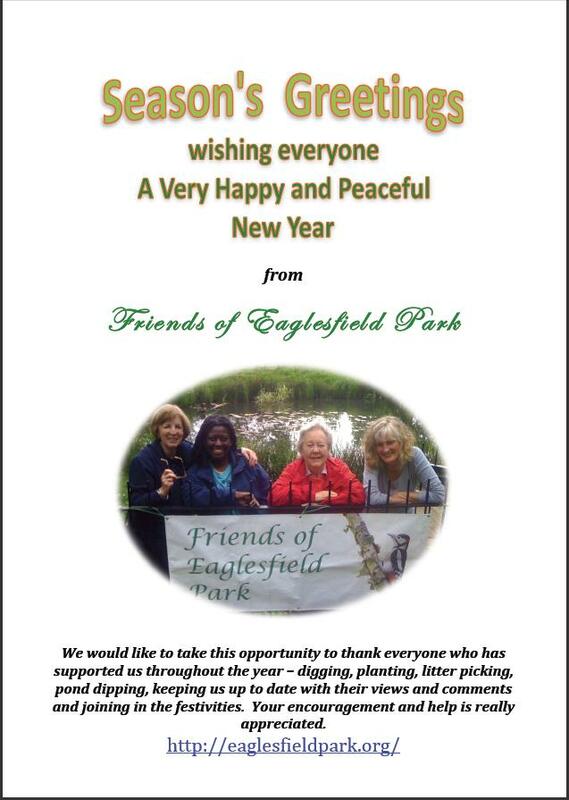 Congratulations to the Friends of Eaglesfield Park! It was announced yesterday that environmental charity Keep Britain Tidy had awarded the park a Green Flag, a national award which recognises and rewards the best green spaces in the country. 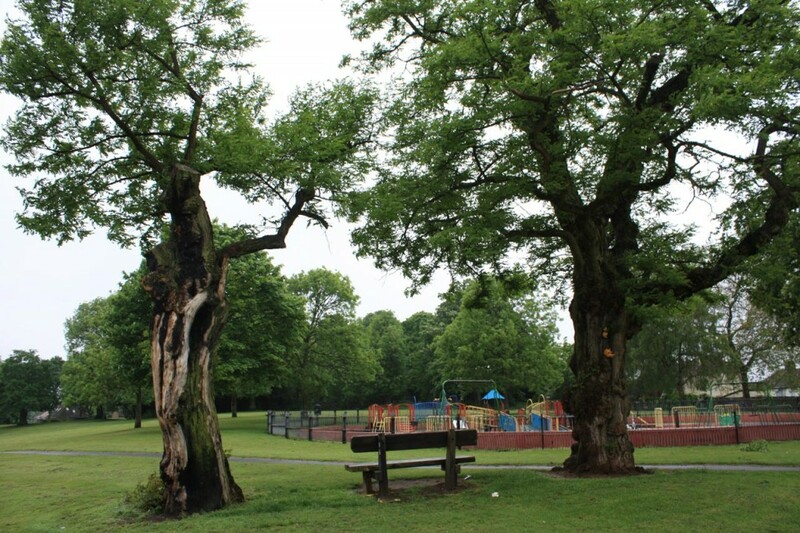 Eaglesfield is one of 1266 parks and greens spaces in the UK that have received the award in 2013. This included 11 parks in the Royal Borough of Greenwich: Avery Hill Park, Charlton Park, Eaglesfield Park, East Greenwich Pleasaunce, Eltham Park South, Fairy Hill Park, Horn Park, Maryon Park, Sutcliffe Park, The Tarn and Well Hall Pleasaunce. 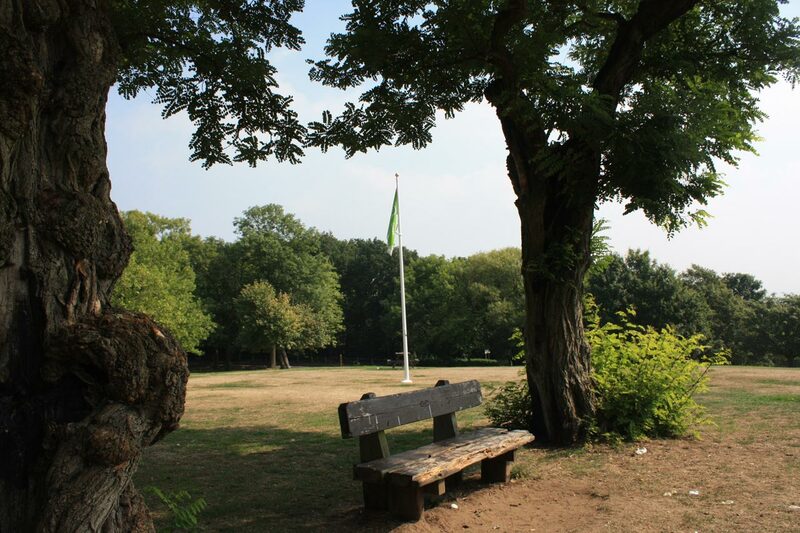 In addition Plumstead Common Nature Reserve and The Slade Ponds, both looked after by the Plumstead Common Environment Group, were amongst the country’s 182 sites which received a Green Flag Community Award. The Community Award recognises high quality green spaces managed by voluntary and community groups. The awards have been running since 1996 and are seen as the “benchmark against which our parks and green spaces are measured”. 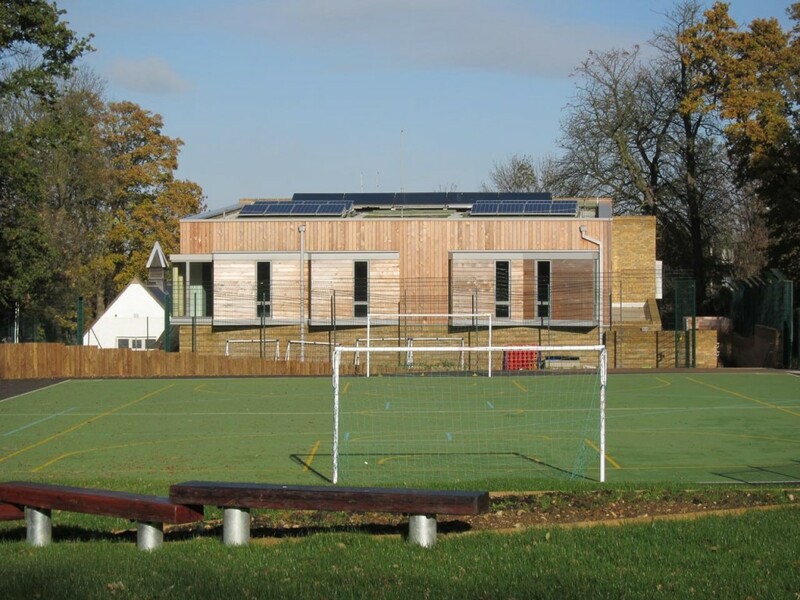 They are decided by expert judges who assess the parks against a set of eight criteria following a site visit. The criteria include the park being a welcoming place and being healthy, safe and secure and also that it has a Marketing Strategy and a Management Plan. The Community Award is assessed against similar criteria, but excluding marketing. The Green Flag award is well-deserved recognition of all the hard work that the Friends of Eaglesfield Park have put in over the last few years. 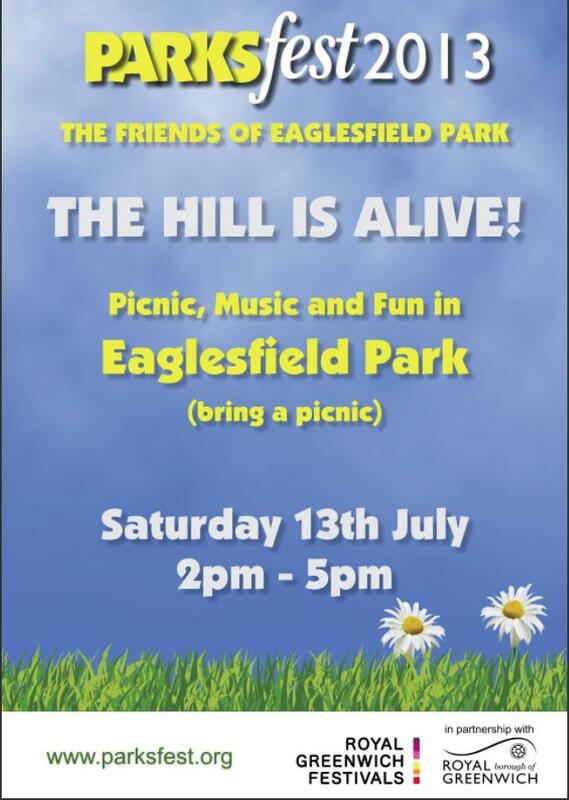 The Friends of Eaglesfield Park would like to invite you to join us at the Eaglesfield Wildlife Pond and Meadow for an afternoon of fun and music on Saturday 13th July between 2 pm and 5 pm. An exciting Afro-Brazilian band and the Greenwich Gospel Choir will be providing the music. Why not bring a picnic. 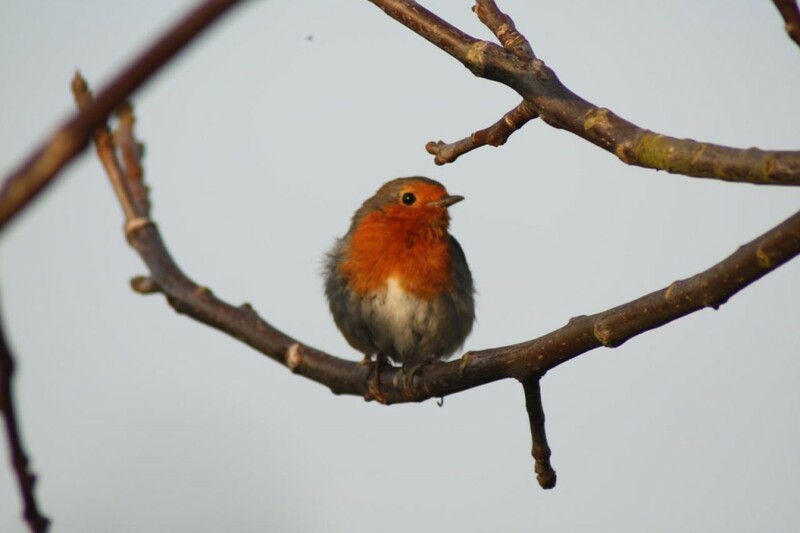 Enjoy an afternoon In Eaglesfield Park and check out the Restored Wildlife Pond and Meadow – it’s amazing how quickly everything has grown and the amount of wildlife it is attracting. Take a closer look at the pond life – come and try POND DIPPING (we will supply the equipment). 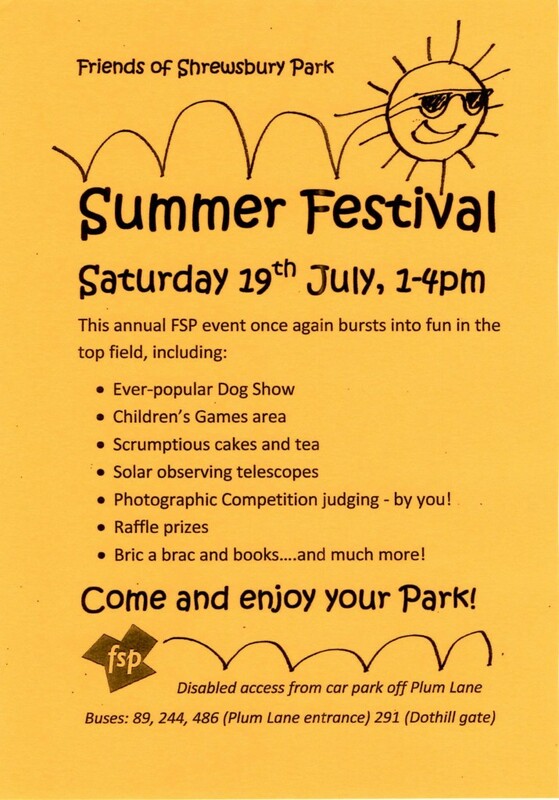 Madeleine also mentioned the Friends’ participation at the EPNWS Community Fête on the 15th June, which was memorable, in part, because of the strong winds and heavy rain that that struck bang on the stroke of 1.00pm when the Fête was due to open. 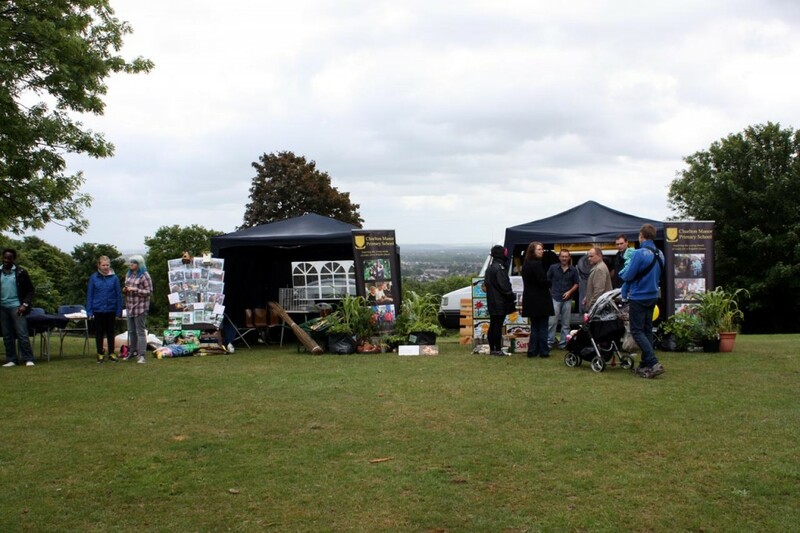 But they managed to “Carry on Pond Dipping Regardless” and the weather didn’t spoil their photo display detailing the various stages of the restoration of the pond and meadow. Our aim is to provide a habitat that will encourage a wide range of wildlife – wildflowers/grasses, insects, bees, butterflies, pond life, birds, etc and a healthy well balanced pond environment. Creating the appropriate habitat is not just a question of “let everything grow, let Nature do its own thing”. Some plants are “thugs” and will take over very quickly, which smother some of the important nectar rich wildflowers. So it does mean we need to carry out maintenance and tidying. This aspect of work is very much a learning curve for FOEP. We are compiling reference guides for identification of wildflowers, pond creatures, butterflies, birds, dragonflies/damsel flies, bees etc. If anyone has an interest in this type of research or monitoring we would love to hear from you. FOEP is not just pond dipping, digging and gardening! Although I enjoy hands-on gardening, I must admit since I have become more involved with identification and research, I am more aware of how much there is to see, once you start looking! 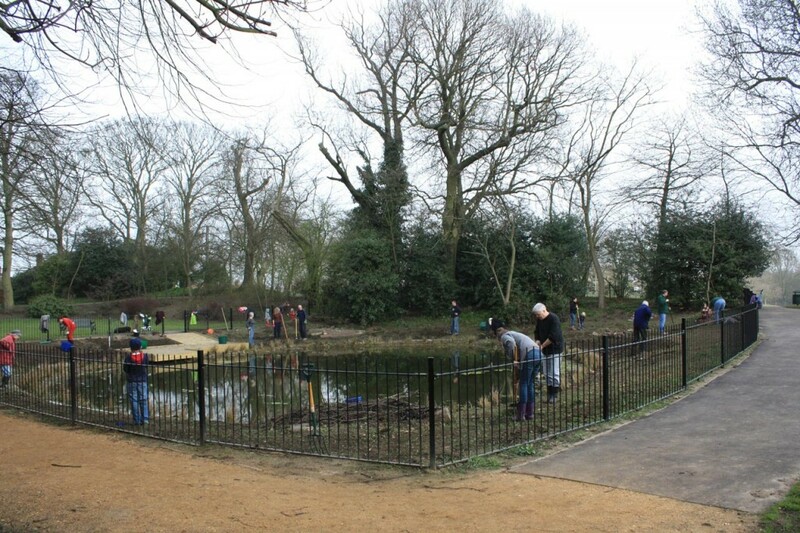 FOEP will arrange another Pond Dipping and Tidying Session as soon as possible. 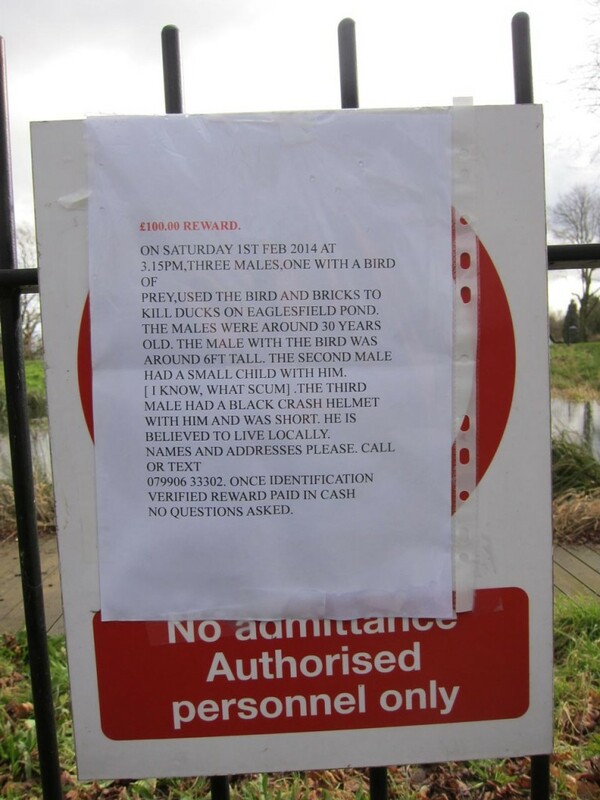 Please keep an eye on our notice board at the Foxcroft Road entrance to Eaglesfield Park. Finally, please keep in touch with us. We would like to hear your comments and suggestions about any aspect of Eaglesfield Park – don’t forget the area on the other side of Eaglesfield Road is also part of the park. We are only a “small band” – so anything you could do to help would be very much appreciated. There will be another ParksFest2013 event, Plumstead Live, on Winns Common on Sunday 21st July, with a line up of four Jazz, Soul, Funk and Blues acts.